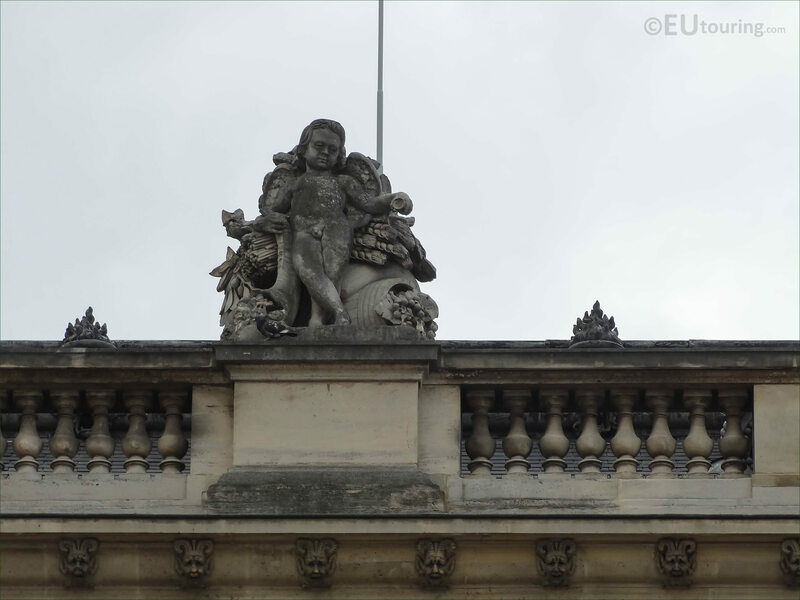 This time while we were at the Musee du Louvre in the 1st Arrondissement of Paris, we took these high definition photos showing a statue called L'Abondance, which was sculpted by Jules Charles Dubois. 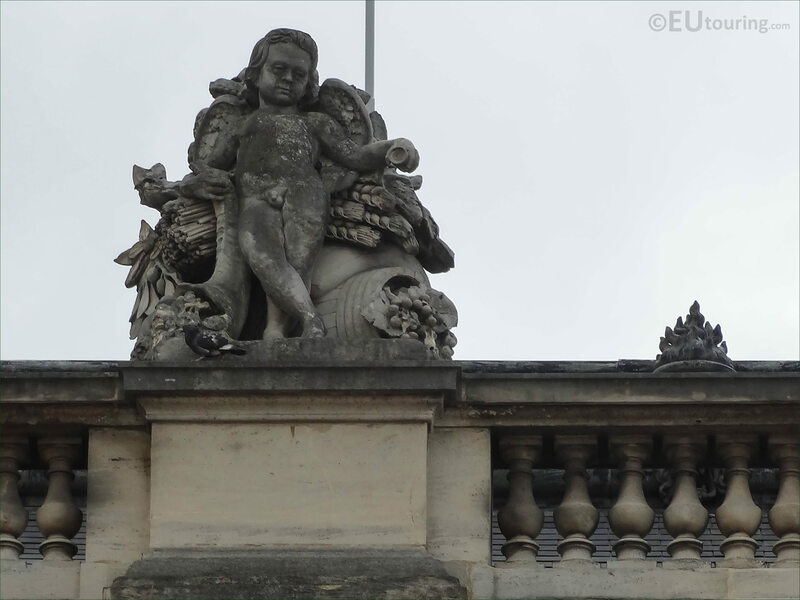 L'Abondance is an allegorical statue located on the balustrade by the roof line of the Aile Mollien, and when you are looking at this facade of the former Palais du Louvre from the courtyard called the Cour Napoleon, you will see that this is the third stone statue from the left hand side. 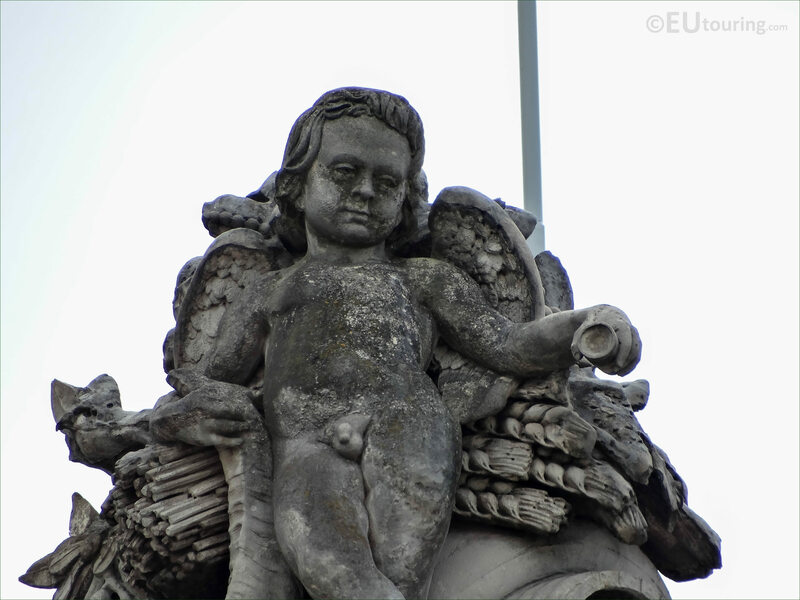 Yet here you can see a close up HD photo of The Abundance statue, which was produced by Jules Charles Dubois who was born in 1806 and studied to become a French sculptor, with most of his works being embellishments in the form of statues for various historical buildings in Paris such as churches. Now sometimes this style of statue found on many of the different facades of the Louvre Museum are referred to as a child with attributes, and in this photograph you can see that this depicts an abundance of fruits and grains, which was produced in stone after an initial plaster model had been sculpted, and L'Abondance was put in place on the Mollien wing back in 1857.